The Ultimate Outsider, released this week and available on Amazon, is the first novel to focus on a story of ultimate. 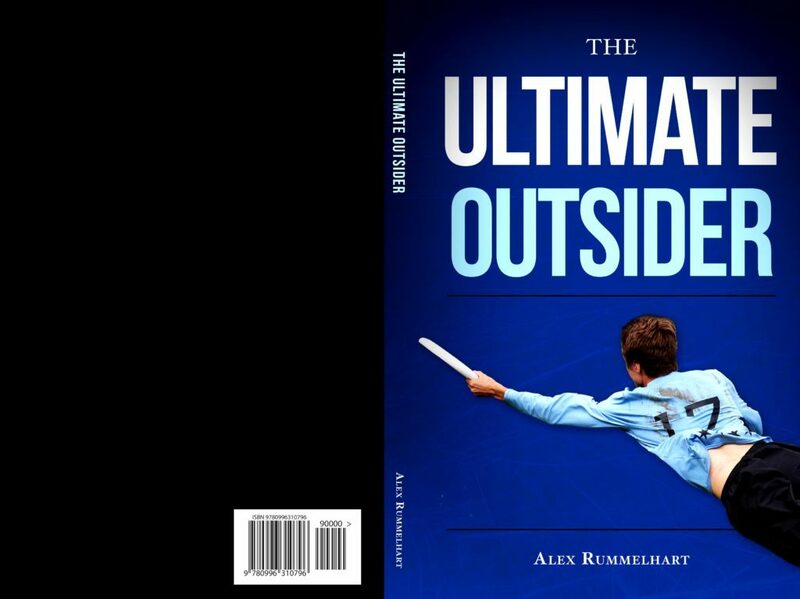 The book, written by Ultiworld and Skyd Magazine writer Alexander Rummelhart, revolves around an unlikely young athlete and the season of a fictional high school ultimate team. The book announcement sees the first time that the sport has been featured in the fictional print media market. The novel will be sold in both paperback and kindle options. Rummelhart, a long-time writer for Ultiworld and a player for the AUDL’s Chicago Wildfire, seeks to capture the excitement, humor, and spirit of what it means to be a new ultimate player, focusing on a young adult finding the game and discovering its unique world. Following the course of the team throughout a spring season, the novel will appeal to new youths to the game and veteran players alike. Seventeen-year-old Jimmy Anderson has always been the outsider since he moved to Geneva Grove High School; he's the strange new kid, overshadowed by his sports star older brother Zeke, and just too different to fit in anywhere. Always too awkward in all characteristics- tall, skinny, clumsy, smart, or shy- Jimmy doesn’t know where he belongs, until one day he discovers a strange new sport: ultimate frisbee. Not only is the ultimate team filled with oddballs like him, but the game is more exciting and beautiful than he could ever imagine, and TJ (as he becomes known to his ultimate friends) is quickly becoming the best in the group, dominating on the field, noticed and appreciated by everyone in this fantastically different world. But pressure from outside commitments, mainstream coaches, and his family means that Jimmy doesn’t have time for anything so weird or new, which means TJ and his ultimate life have to become a major secret. As Jimmy grows and learns the game of ultimate, he finds self-confidence with a new best friend, a mysterious, talented, and beautiful female captain of the squad, and a true sense of belonging in the hilarious, and often wacky, exploits of the Pink TrollZ: the high school ultimate team.